Many Local Authorities in the UK now require a report as part of a planning application to assess the energy demand of the proposed development and which then shows how a percentage of either this energy demand, or the associated carbon emissions, will be reduced through the installation and operation of on-site renewable/sustainable energy systems. This policy is often known as the ‘Merton Rule’ after the London Borough which pioneered this policy.The information, detail and percentage thresholds required in these reports varies between the local authorities and in this case, the London Borough of Sutton required a 20% improvement on carbon emissions, a report and a particularly cumbersome spreadsheet to be filled out. This involved undertaking two sets of SAP calculation for each property design – one of the proposed design and specification and one for a default version based on minimum building regulations compliance. This allows for the benefit of improved energy efficiency to also be taken into account, to reduce the amount of renewable energy required. In this instance, the client had initially been considering the use of air source heat pumps to meet the 20% carbon reduction compliance. However, on modelling this scenario, the additional electricity required to run a heat pump (which brings additional carbon emissions into play) was found not to be an answer. Interestingly, this scenario would have worked had the policy required a 20% energy reduction. 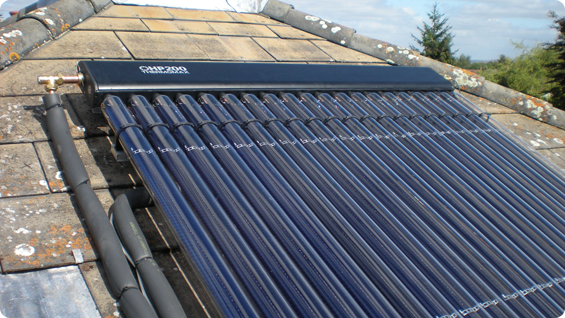 Further investigation and modelling came up with a solution that improved the energy efficiency of the proposed dwellings and included solar water heating, using evacuated tube collectors on a flat roof, but twisted to face south at 45º. Carbon offset reports are always quite challenging, more so than an energy offset report. The Blewburton Partnership has experience in producing both types of report and is knowledgeable with regard to the varying local authority policies around the country.